Pueblo chile is the most famous chile of our region, attracting chile aficionados’ attention from around the world. Its pungency ranges between 5,000 and 20,000 Scoville Heat Units, the measurement method used to rank chile heat. 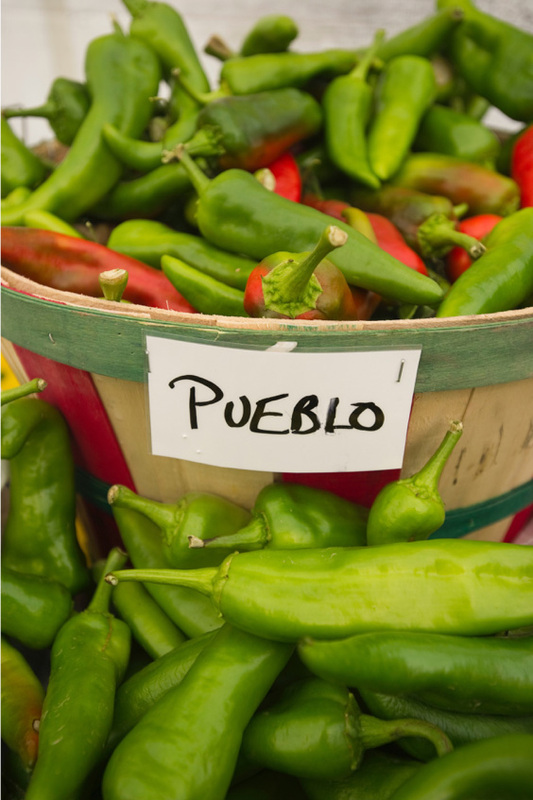 Pueblo chilies are comparable to moderate jalapeno peppers, and are usually a little warmer than cayenne peppers. 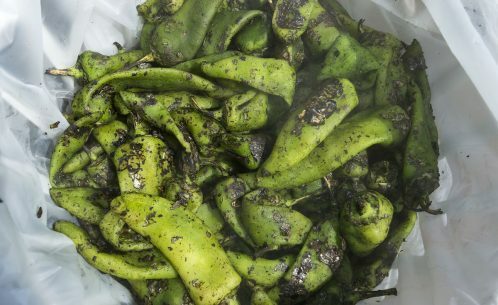 The growing conditions in Southeastern Colorado render some of the best chile available. 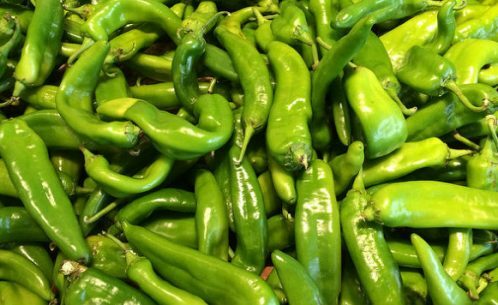 Hot, dry, sunny summer days, combined with our rich soils and pure Colorado water yield some of the hottest and most flavorful chilies. 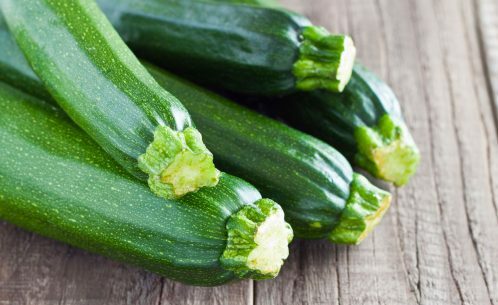 Watch out for the little ones – they’ve been tortured the most and are the hottest. 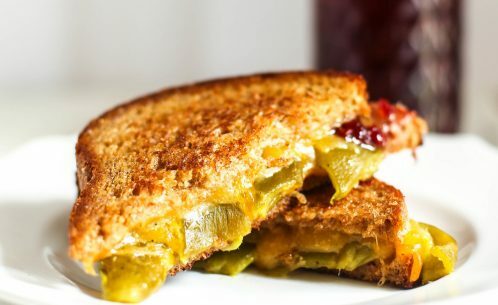 Give the classic grilled cheese a robust and savory kick with strawberry jam and roasted Pueblo Chiles! 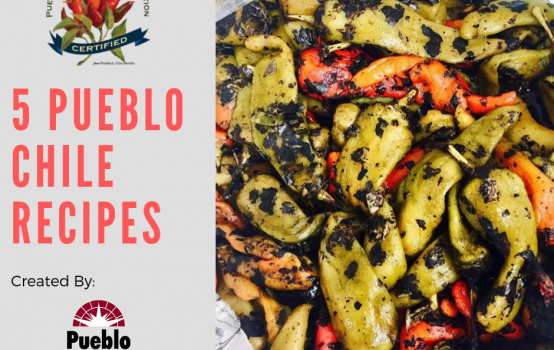 Add a little spice to your seasonal veggies with this delicious recipe created by the Pueblo Community College Culinary Arts Department, DiSanti Farms and showcased at the 24th Annual Chile & Frijoles Festival. This unique twist on the classic Jalapeño Popper was created by the Pueblo Community College Culinary Arts Department, DiSanti Farms and showcased at the 24th Annual Chile & Frijoles Festival. This delicious salad recipe was created by the Pueblo Community College Culinary Arts Department, DiTomaso Farms and showcased at the 24th Annual Chile & Frijoles Festival. 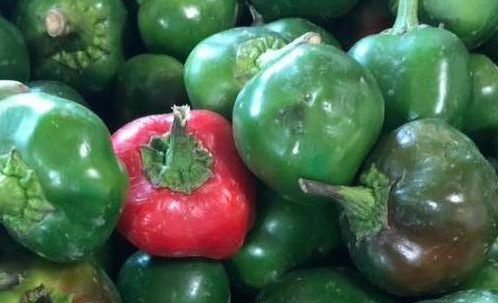 Featuring fresh produce and Pueblo Chile, it is sure to be a favorite! A twist on the classic bruschetta recipe created by the Pueblo Community College Culinary Arts Department, Milberger Farms and showcased at the 24th Annual Chile & Frijoles Festival. This delicious recipe created by the Pueblo Community College Culinary Arts Department, Musso Farms and showcased at the 24th Annual Chile & Frijoles Festival. A farmers twist on classic Spaghetti.